During World War II, Nancy worked for a time as a despatch rider on a motorcycle, then joined the WRNS where her knowledge of German was put to use intercepting radio transmissions from German E-Boats in the English Channel. At the outbreak of the war, due to her strong pacifist convictions, Nancy spent some months at home doing some nursing at local hospitals and gardening at Waterperry in Oxfordshire. Her views were influenced, she says, by memories of World War I and writers like Wilfrid Owen. All this was much altered by the experience of London air raids and the fall of France. 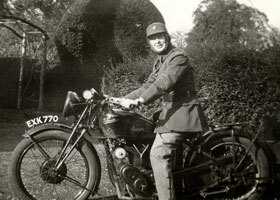 She joined the MTC (Mechanised Transport Corps), an organisation for women providing drivers for government departments and ambulances and she worked for a time as a motorcycle despatch rider based in Reading. In 1942 when invasion had become unlikely, the work at Reading appeared much less urgent and she decided to join the WRNS. While waiting for her call-up to the WRNS, she took part in a national survey of the arts for Political & Economic Planning, a Government policy advisory group, investigating music in Newcastle upon Tyne. Once she joined the WRNS her knowledge of German was put to use and she was assigned to Special Duties "Y" branch of WRNS which conducted secret intelligence work. She was posted to listening posts intercepting German radio traffic in Looe in Cornwall, Lyme Regis and then to Abbotscliffe, a bleak house on the cliff between Dover and Folkestone. 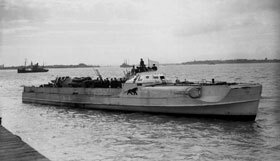 She listened in on radio transmissions from E-Boats within a range of about 30 miles as they searched for allied shipping to attack. Working with other stations, they used direction finding ('DF') to establish the position of these enemy craft. This period also covered the D-Day Invasion and was followed by the Doodle Bug attacks on southern England. Nancy was required to learn Luftwaffe slang to understand the transmissions from enemy aircraft. For example, "Ich habe Bauchweh" ("I have stomach ache") , meant the plane was damaged and limping home. Nancy Sandars has recently been added to the Betchley Park Roll of Honour for her work with the WRNS 'Y Service', supporting British intelligence operations in World War Two. Wartime letters from NKS to her sister, Betty, and her father.